While women currently comprise about 14 percent of the U.S. military, war literature with central female protagonists in uniform is sorely lacking. 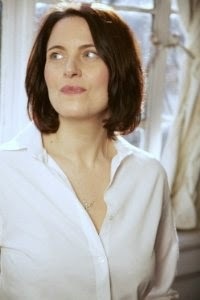 There’s Helen Benedict’s 2011 novel Sand Queen, a great short story by Mariette Kalinowski in the anthology Fire and Forget, and any number of memoirs, but comparatively little else (if I'm overlooking something, feel free to set me straight). 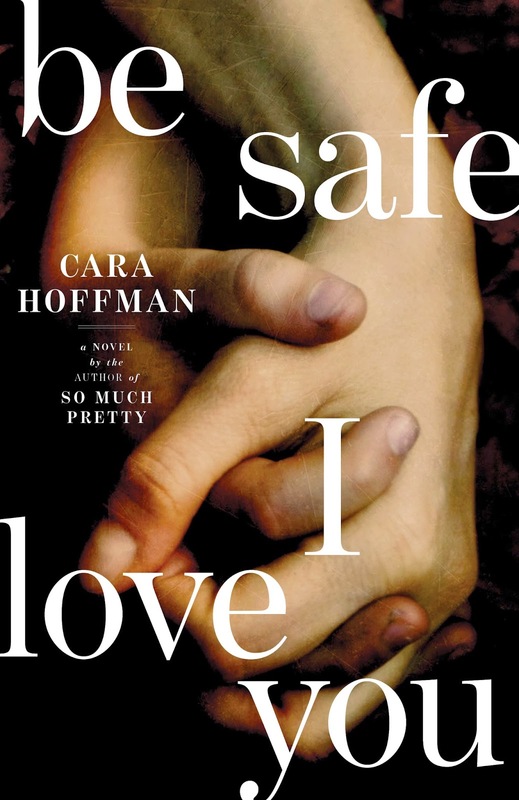 Cara Hoffman’s new novel Be Safe I Love You now joins those thin ranks and adds a compelling female character to the chorus of voices coming out of these two wars. Lauren Clay has returned from a tour of duty in Iraq in time to spend Christmas holiday with her father and younger brother Danny. All seems fine on the surface, but there are some rough seas building inside of Lauren. The situation comes to a boil when Lauren takes Danny to an oil field in Canada that has become the focus of her anger over the war in Iraq. There in the arctic landscape, she’s forced to confront the nightmares that have plagued her ever since a would-be suicide bomber attacked her checkpoint in the desert. I first became a fan of Cara Hoffman’s fiction three years ago when I read her debut novel, So Much Pretty, whose plot revolves around the disappearance of Wendy White, a well-liked hometown girl in her early 20s. In my review, I wrote: "For all its appearance of a mystery-thriller, (this is) really a novel of ideas. So Much Pretty opens its arms to hug some pretty big themes--the depravity of mankind, the lost Utopia of rural living, the moral cost of single-handedly trying to cleanse society of sin, and the creeping rot of rumor in small towns--but at every turn Hoffman manages to turn social commentary into a gripping, white-knuckled read." It’s a smart, multi-layered story that I’m still thinking about even now, three years later. Be Safe I Love You is no less memorable for its engaging characters and urgent message about how we treat our veterans returning from war. It's an especially potent treatment of how soldiers lose their sense of identity for the greater good and then must deal with a violent doppelganger who haunts them. As Hoffman writes, Lauren "was stuck dragging around this ruined version of herself." War is a chaos which goes against Lauren's nature. She's a person who only wants to see things neatly resolved; she's a "fixer," most content when she's "getting things done." It's one of the primary reasons she joined the Army in the first place--to build a better, financially-stable future for her father and brother after the three of them had been living for years in middle-class poverty. Trouble is, Lauren has spent so many years taking care of everyone else around her that she's failed to minister to herself. Now, upon her return to her hometown, she's quickly breaking apart. Most everyone else has failed her: the Army, the Veterans Administration, her friends, even her father who blinds himself to the reality of Lauren's PTSD. Be Safe I Love You is haunting and unforgettable and, best of all, burrows deep into the mind of a female warrior. It's an important story readers should read and heed. In its review of So Much Pretty, The New York Times Book Review had this to say about you: “Hoffman writes with a restraint that makes poetry of pain.” That kind of description could easily apply to the pages of Be Safe I Love You, too. Was this book painful for you to write? Yeah, that's a good question. I think that about many novels that writers write. It seems like there's always a painful process that goes on in any writing that we do. But certainly Be Safe I Love You deals with themes that are very painful because it's about poverty, and it's about family ties that become strained by poverty, and it's about war and homecoming. People who've experienced those things, or understand those things--all of us, of course, have experienced the feelings of missing our loved ones or being taken away from our loved ones for any number of reasons. So I would say, yeah, there were definitely painful parts to writing this novel. The book does touch on a lot of different themes. You really capture middle-class poverty--the working poor--and that's one of the motivations for Lauren joining the Army in the first place--to get the extra money so she can support her father and her brother. You have some really vivid imagery in those scenes. Was there any one incident, or maybe just an image or an idea, which was kind of the nugget behind writing the book? Was there something which started it all for you? I think so. As in So Much Pretty, it really was beginning at the beginning. So Much Pretty started with this image of someone searching for a woman. And not necessarily searching for a woman because she'd been abducted, but searching for other reasons. With Be Safe I Love You, I had this very stark image of a woman lying naked in the snow, alert and looking out at the stacks of this massive off-shore oil rig. It was a very visual, visceral image that began the narrative--and still does. That's how the prologue of the book begins. That is a vivid image, and a little bit disorienting for readers, too, to start off there: "What is going on?" And then, on the very next page, we get to her brother Danny's first "dispatch" to her, one of the emails and letters that he sends. I found those to be really endearing and that's where we get the title "Be Safe I Love You," because that's how Danny signs off all of these missives to his sister, his "Sistopher," as he calls her. I love the relationship between Lauren and Danny. Does this mirror your own relationship with your siblings? I have two brothers and, yeah, my older brother was a combat veteran who did two tours of duty in Afghanistan....Growing up, I did feel very close to my brothers. They're great, funny guys who are very supportive. I don't think I'm alone in adoring my siblings. I think a lot of us can relate to what a nice relationship you can have....(Like Danny) I am one who's received a lot of letters and emails from my brother while he was in the Army. He first enlisted when I was eleven years old. So, I have a long history of sending and getting letters and, you know, putting silly things in them, and also being concerned about his safety and his life. So (this part of the book) actually does come from something I have experience with. Booktalk Nation's nationwide, phone-in and streaming video author talks connect readers with authors while supporting independent bookstores. You can sign up for any event on the Booktalk Nation website and listen to your favorite authors discuss their latest book, buy signed personalized copies, and best of all you will be supporting your local independent bookstore with every purchase—all from the comfort of your own living room. These talks are free and last no more than 30 minutes. You can submit questions before the talk at the Booktalk Nation website or, for some calls, during the live talk. Upcoming Booktalk Nation events include interviews with Debbie Macomber (April 17), Roxane Gay (May 12), Jim Butcher (May 15) and Diana Gabaldon (June 17).